Reduce heat. Cover; simmer about 10 minutes, stirring occasionally, until pasta is tender. Remove from heat; uncover (sauce will thicken). Top with crema fresca and tomato. Looking for a delicious dinner? 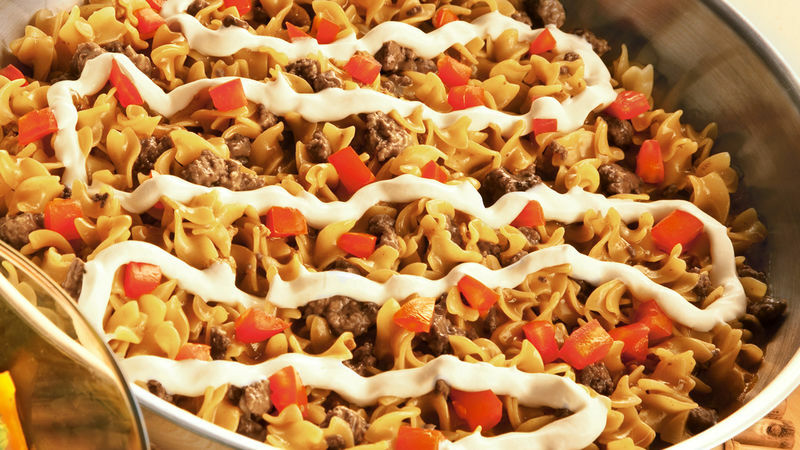 Then check out this hearty dish made with Hamburger Helper® beef pasta and ground beef topped with crema fresca and tomato.